Want to Lose Those Stubborn Extra Pounds, But Tired of Crazy Diets That Don’t Work Long Term? It Doesn’t Involve Restrictive Dieting or Any Other “Quick Fix” Gimmicks. 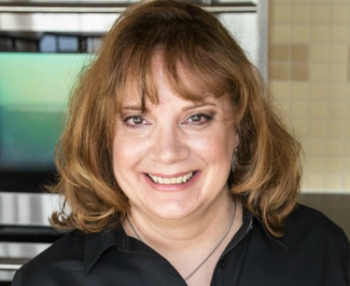 If we haven’t met before, I’m a Holistic Nutritionist and Wellness Consultant who helps those with Autoimmune Disease live a more vibrant life by rebuilding their relationship with nutrition, exercise and mindset. Do you ever feel like there’s too much conflicting information about how you should eat? If you’re confused, frustrated, and overwhelmed by all the mixed messages out there, you’re not alone. Every day I talk to people who feel defeated and just about ready to give up. If you’ve tried the so-called quick fixes and regained the weight, you might be tempted to beat yourself up about it. The fact is that restrictive diets don’t work long-term… and “rapid weight loss” often leads to rapid weight GAIN. If you’ve been tempted by the promise of sudden and dramatic results in the past, I don’t blame you. Who WOULDN’T want fast results? It’s natural to want to free yourself from a problem as quickly as you can. 1. It doesn’t really work that way. Having an extra few dozen pounds isn’t like having an ear infection. A short-term treatment plan is not going to give complete relief. 2. People who sell restrictive “quick fixes” know you WANT to believe that it DOES work that way. They know it’s not true and they don’t really care. You pay up, experience an initial rush of excitement, and then end up mad at yourself for gaining the weight back. Meanwhile, they’re laughing all the way to the bank. It’s not that you need to just “try harder” to stick to your restrictive eating plan. You don’t need to turn a rigid 21-day detox into a 365-day detox year-after year. You need a radically different approach. You need something that’s EFFECTIVE...and SUSTAINABLE. 1) It needs to be right for your TASTE BUDS. It lets you enjoy your favorite meals (in a balanced way) so that you never feel deprived. 2) It needs to be right for your BODY. It helps you feel your best, so you actually feel MORE energy while following your lifestyle plan. No more constant hunger and fatigue. If you’re not losing 10 lbs a week, how would you know if you’re making progress? Simple… you see the new healthy habits you’re building. You experience eating and exercising in a way that’s right for your body. You make healthy eating and physical activity fit seamlessly into your daily routines. All while continuing to enjoy your favorite meals. Step 1: Planning for Long-Term Success. You can’t get long-term results with short-term thinking. You don’t have to spend hours at the gym to get in great shape. In week 2, you will identify the best types of exercise to focus on to transform your body and improve your health. If you want to lose weight quickly and gain it all back, focus solely on the number of calories you’re eating. But if you want SUSTAINABLE weight loss, you need to focus on the quality of food in your diet. In week 3, you will discover the 5 most important shifts to make for doubling the quality of your food choices. The #1 factor that prevents people from losing weight (and/or keeping it off) is the wrong portion sizes. Undereating and overeating are major threats that can sabotage your weight loss efforts. accountability, and motivation(a $99 value). You will have long term access to the group. Daily Coaching Support in the private group to help you succeed with each action step and overcome any challenges along the way (a $250 value). I will be checking the group daily for questions and will answer them within 24 hours. I will also be live in the group once a week to offer guidance and answer questions. 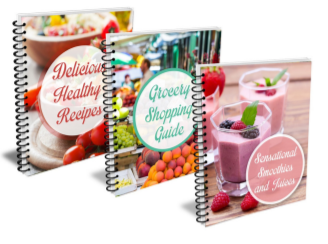 Meal Planning Templates to help you put together simple, healthy meals in record time (a $29 value). you feel great AND is helping you reach your goals. Join Today With No Risk! 100% Money-Back Guarantee. 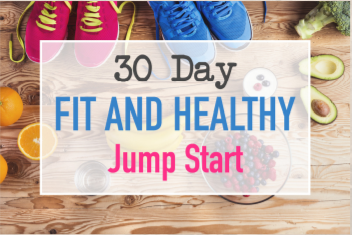 The Fit & Healthy 30-Day Jump Start gives you realistic action steps to help you be fit & healthy for the long haul. I'm confident that you'll love your time in the program, the results you get, and the lessons you learn. But if for some reason, the program isn't a good fit for you, email me at Lisa@LSWellnessQC.com and let me know within 7 days. I wouldn't dream of keeping your hard-earned money for a program that you don't love. You'll get a full refund with no hassles and no hard feelings. Claim Your Spot Today to Take the Next Step Towards Being Fit and Healthy for Life! You don’t have to keep feeling frustrated by those final stubborn pounds. You don’t have to continue being afraid that you’ll need to keep dieting for the rest of your life. Just because you’ve struggled to keep weight off in the past does NOT mean you are destined to yo-yo up and down forever. You can learn how to achieve sustainable weight loss. With the bonuses, you get a total value of $512. But by joining today, you won’t pay over $500. You won’t pay pay $300. You won’t even pay $200. But right now, you can claim your spot in this program for just $57! Because I know that you’ve tried diet programs that didn’t work, and I want you to see that there IS something that works. Registration will not be open for long and spaces are limited. Claim your spot right now and declare your commitment to being fit and healthy for life. Just click the button below to take the next step. You'll get an email from us shortly!